After a breath-taking day on the Great Ocean Road and more than one unforgettable experiences including a wild koala encounter, yesterday was spent exploring the laneways further discovering the incredible policies with which the city has literally transformed itself to catalyze an urban rennaisance in the last ten years. Delving into the policy of accepting graffiti as public art form, the transformation of liquor licensing to catalyze bars and destinations in every nook and cranny imaginable has created a city of urbanity. The inclined individual could spend a year exploring all the hidden gems. I was fortunate to be able to speak to architect Sean Godsell in his office on Exhbition Street about Melbourne and his impression of the laneways. 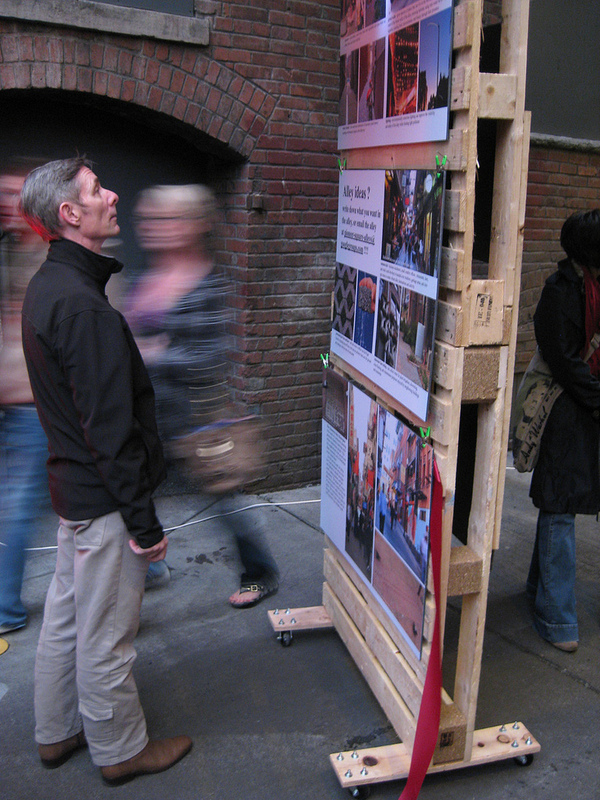 He seemed to enjoy the unique qualities of the city and said when he tries to go to a destination, he always takes the laneways as they offer a more human capillary form of movement through the city. He also said that the laneways are the biggest success for the city’s programs to pedestrianize and are a huge part of the identity of Melbourne. I would like to thank Andrea Kleist, of the City of Melbourne’s Arts and Culture branch. She explained to me the ten year history of their Laneway Commissions, a program that reaches out to the arts community by providing an open competition for artists that allows them to pick their site and project. This is different than Sydney’s By George! arts commissions as it allows creative freedom and thus maintains a steady stream of interesting applicants every year. This is fantastic as it complements everything the planners, architects, and engineers are doing to transform the city. I will give a more detailed description of this decade-long program after reviewing the myriad documentation that the Public Arts Program gave me, thank you so much! This is the kind of thing Seattle could be incredibly capable of doing. We have a large supply of artists, and a fairly steady stream of public arts commissions through 4culture, and various neighborhoods. 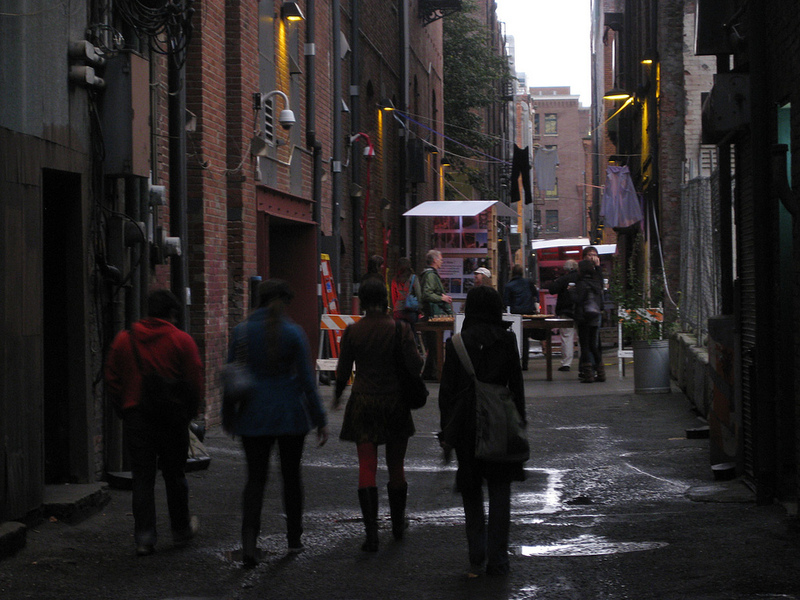 The alleys could become a curated set of galleries fostering fantastic video, performance, installation, and site-specific art. It could run for the summer months annually. Speaking of, I would like to thank everyone again for attending the Firehouse Alley activation party last Thursday. 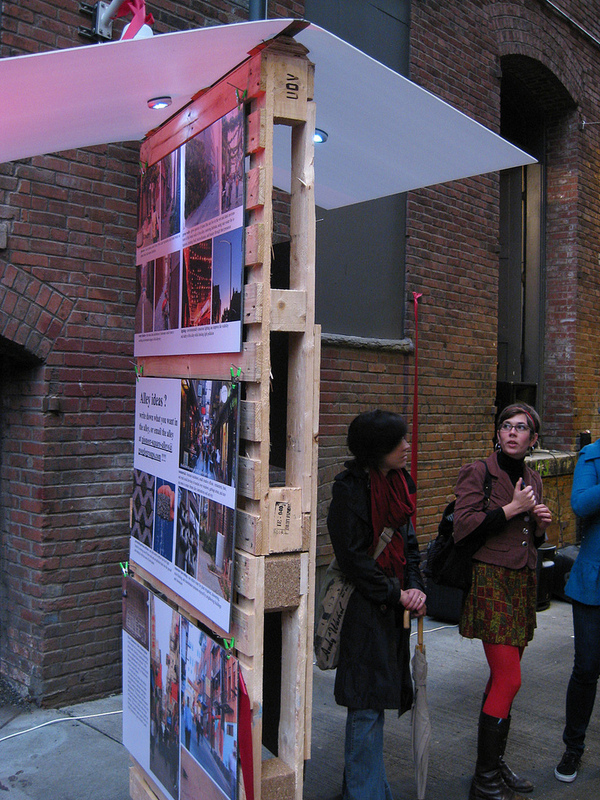 Richard Tran of the AIA Seattle Design Committee (above) and Justin Martin of SvR snapped some great shots of the activity shown below. 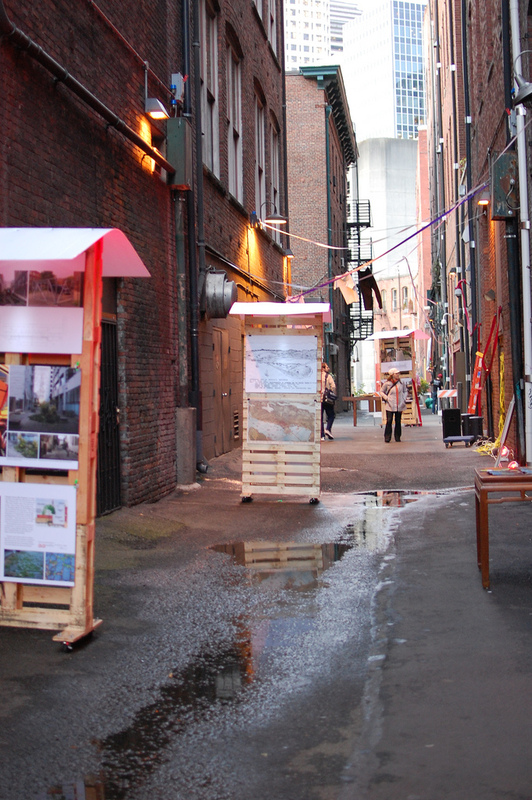 This is only the beginning for this alley and Seattle’s alleys in general!